The Hynes Eagle Printed Kids Backpack, constructed of premium polyester, is available in several unique and vivid patterns, and is a durable everyday backpack ideal for school or for day or overnight trips. 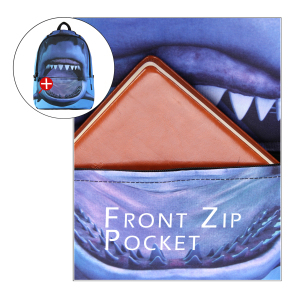 Features multiple exterior pockets and roomy compartment to organize your essentials. 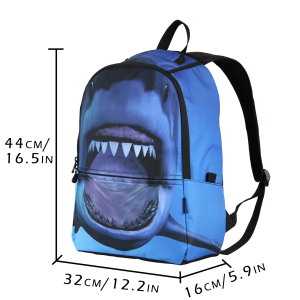 Ergonomically designed, backpack has a padded back panel and padded shoulder straps for ultra comfort. 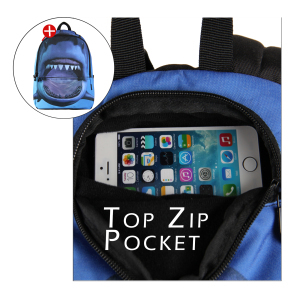 Top with a handy webbing loop for easy grab and hang, added versatile for this pack. 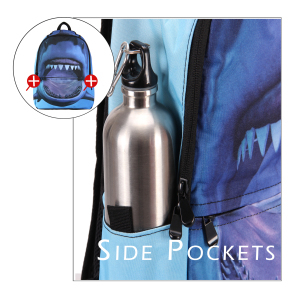 Features 4 exterior pockets not only for extra storage, also for quicker access your last minute items, from cell phone to water bottle. Roomy main compartment with a laptop sleeve, designed to organize your school required items and fit most 14 inches laptop. 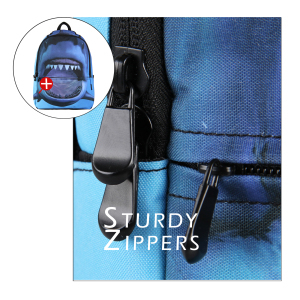 Ergonomically contoured, padded adjustable shoulder straps for all day comfort. Provides an ergonomically airflow padded back panel system that wicks away moisture and prevent overheating. 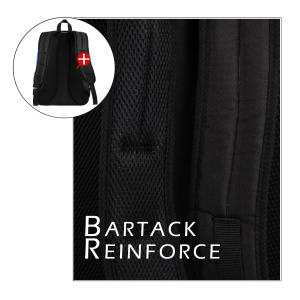 Bar-tack stitches in stress points enhance the durability, extend the life of backpack. 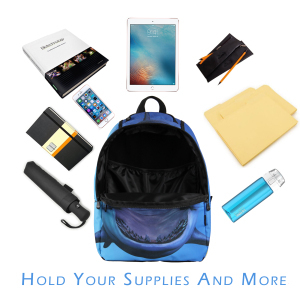 Hynes Eagle is your go to brand for any casual, school or travel bags. Hynes Eagle products are inspired by urban mobility and distinguished by simplicity. When creating new bags, Hynes Eagle focus on high-quality materials, fashion inspiration, and the functions of the bag to insure Hynes Eagle have created the perfect bag for you.Hynes Eagle work closely with the factory to oversee the products being made, insuring the customers have the highest quality of bags.